I feel ambivalent about eating in Paris, with its discourteous waiters and tourist-trap bistros, but my enthusiasm for the Dehillerin kitchen store is entirely unreserved. 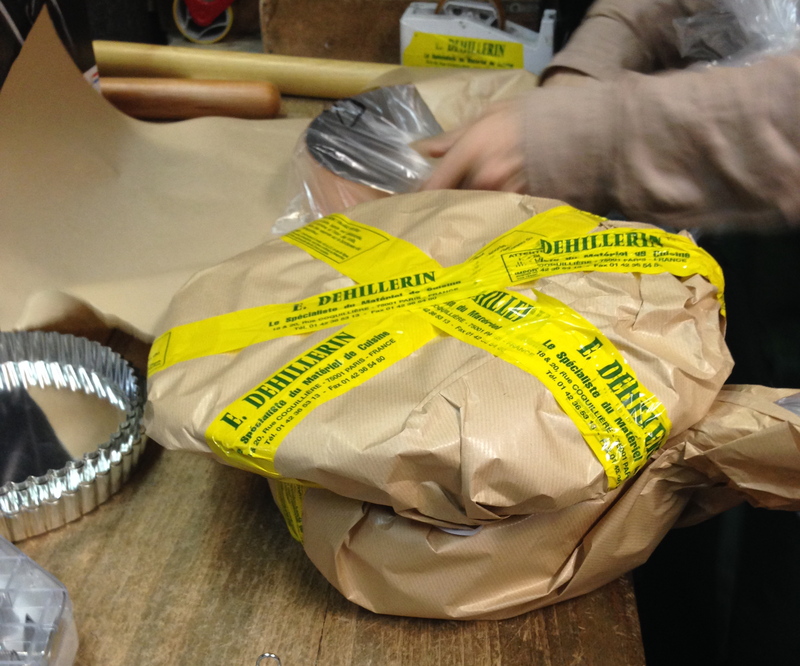 Dehillerin was founded in 1820, and crossing the threshold is like stepping back in time. It’s immediately apparent why the store exercises such magnetism over celebrated chefs, from Julia Child to Joel Robuchon—as well as an awed succession of tourists and culinary pilgrims. 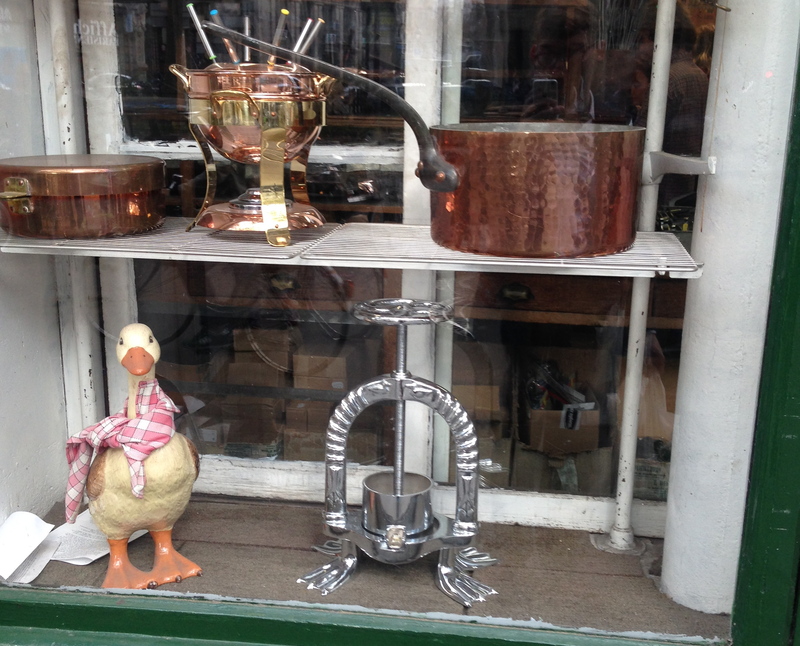 Copper turbot kettles, duck presses, and other paraphernalia seldom seen in a modern kitchen are all around. 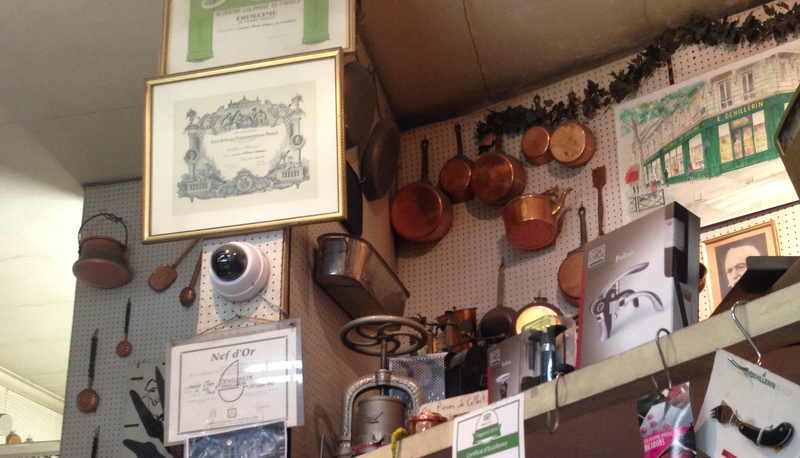 Everything from sauté pans to oyster knives displays an old-fashioned, over-engineered solidity. 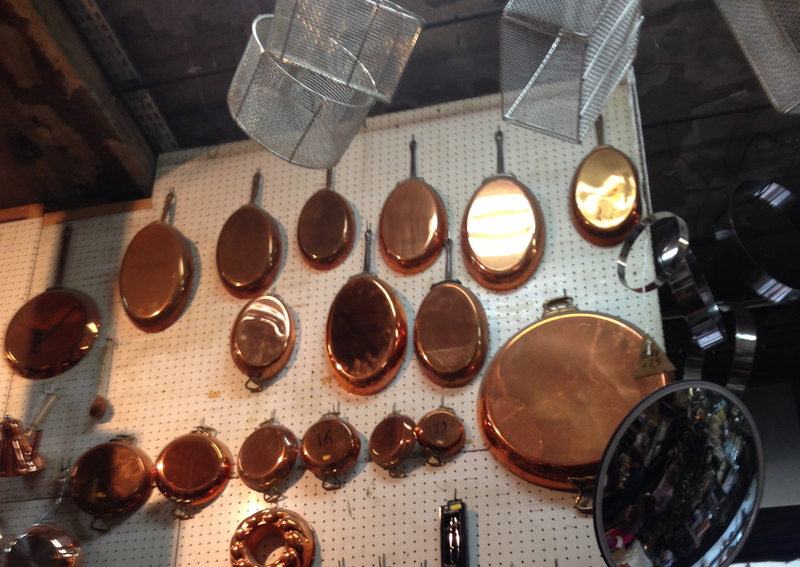 All that planished copper is undeniably beautiful, but it isn’t for decoration: this is kitchen kit designed to be used. 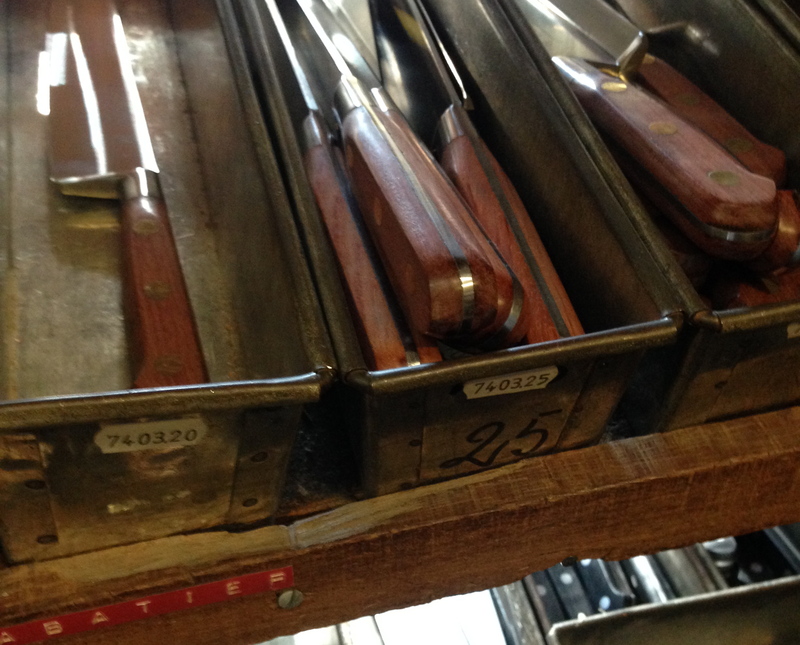 Consider the series of K Sabatier knives, beginning with a paring knife and increasing by increments, culminating in a ten inch chef’s knife. The blades are high carbon stainless steel, which takes and holds a great edge; you have a choice of rosewood (my favorite) or stained beech handles; and their balance is impeccable—all for disconcertingly sensible prices. Knives made for cutting, not for display. But the same observation might be made about any of Dehillerin’s utensils and appliances. Visit next time you’re in Paris. Come with a shopping list, but expect to find something you didn’t know you needed.